Isaac Larian said Monday that he will no longer try to save Toys "R" Us. "I am most disheartened that the legacy of the retailer will be lost for future generations," Larian said in a statement provided to CNNMoney. He added that he wasn't able to reach a deal with the company's lenders. Larian, the CEO of MGA Entertainment, announced in April that he had placed a $675 million bid for 200 of the remaining 735 Toys "R" Us locations in the United States, and almost all of more than 80 locations in Canada. Toys "R" Us rejected the offer a few days later. Sources said at the time that the offer was too low. Soon after, Larian told CNNMoney that he had decided to drop his bid for the Canadian locations, but that he hoped to make a US offer work. "We were about 10% below the winning bid for Toys "R" Us Canada. So that gives me hope for our US bid," he said on April 23. "We have the financing we need. It's now a matter of determining how much more we're able to bid." Larian hoped that by keeping Toys "R" Us stores open, he would be able to save jobs and protect the toy industry. "I'm an optimist. I think things are going to work out," he said at the time. "The people handling the sale, I think they're genuinely trying to save the stores here in the US." The toy megastore filed for bankruptcy in September, hoping to shed debt and reinvest in its stores. The plan didn't work, and Toys "R" Us said in March that it would sell or close all of its US stores. Toys "R" Us declined to comment Monday. Larian's decision comes soon after his efforts to merge MGA Entertainment with struggling toymaker Mattel (MAT) fell flat. Last week, Larian shared an email exchange with CNNMoney that revealed the merger attempt for an undisclosed sum. Mattel stock has been cut nearly in half in the past few years. The company was hit hard by the bankruptcy of Toys "R" Us. 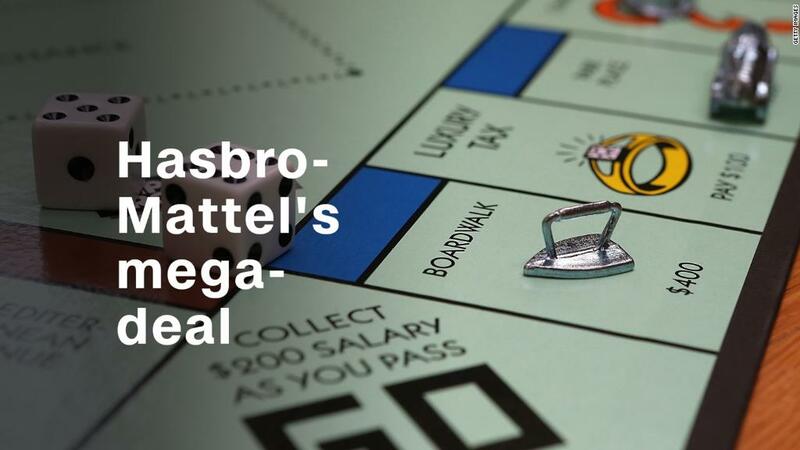 "The Mattel board unanimously concluded that this proposal is not in the best interests of Mattel and its shareholders," read the response from Mattel's outgoing CEO Christopher Sinclair, dated Thursday. "Mattel is not interested in further discussing the matter with you." Larian has been waging a legal battle with Mattel over the copyright of Bratz dolls for more than 10 years.